La société privée KosmoKours prévoit de faire des vols touristiques suborbitaux à l'aide d'une petite fusée lancée de Kapoustine Yar. Le projet est soutenu par Roscosmos. 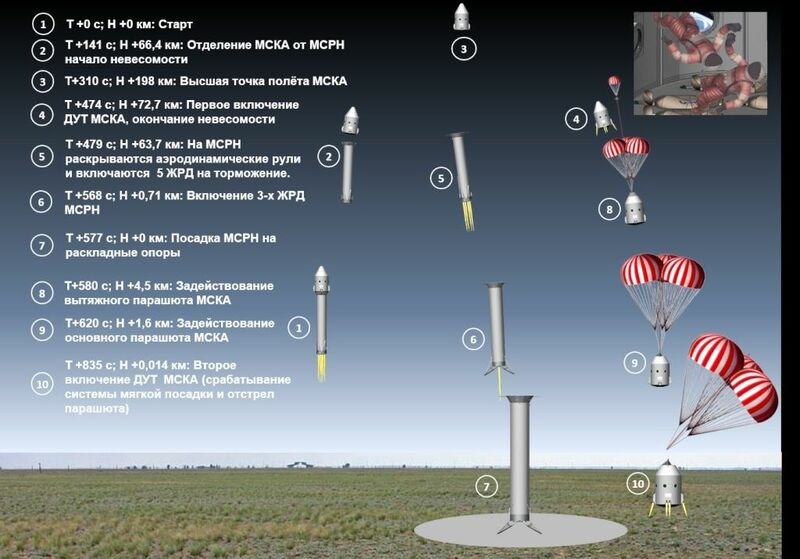 Reusable sub-orbital space complex (MCSS) - consists of a reusable suborbital launch vehicle (MSRN) and reusable suborbital spacecraft (MSKA), designed to provide a wide space tour to the height of Gagarin's orbit on an open path. Permission to participate in the cosmic trips bidder will receive after a three-day training and medical examination. Space tourists will be offered a flight duration of 15 minutes in a group of six tourists, in which every tourist will be able to be in a state of weightlessness for 5 ÷ 6 minutes, moving freely inside the cabin total volume of 30 m3, and having the opportunity to look at the Earth from space into a personal porthole.